For the past few months, while the majority of us have been tucked up in bed, our Swim Team have been rising at 4am, in order to make training at 5am in the National Aquatic Centre. Under the watchful eye of Gráinne Keogh, our Relay team were busy working hard & improving their times ahead of the Irish Senior Schools Gala Relay Championships, on Sunday last, April 14. 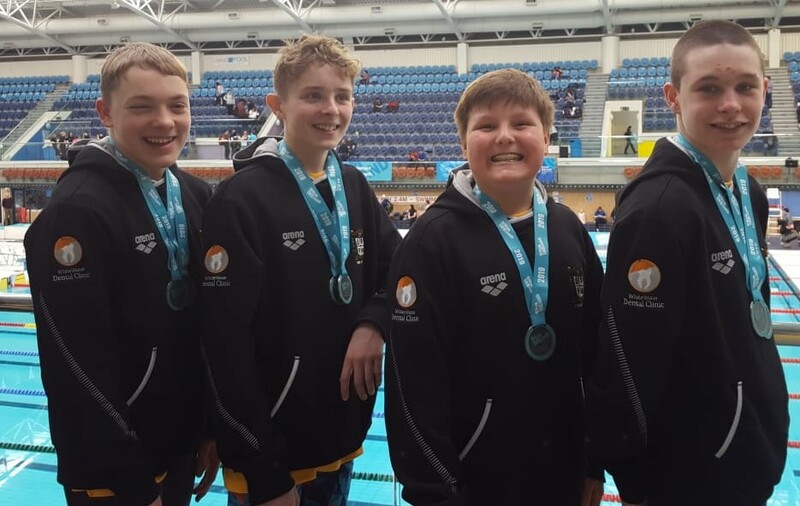 It proved all worth while, as the team of Filip Halaczkiewicz, Michael Keogh, Niall Burke, & Joe Dillon, not only claimed one silver medal but two in the Medley & Freestyle Relays. 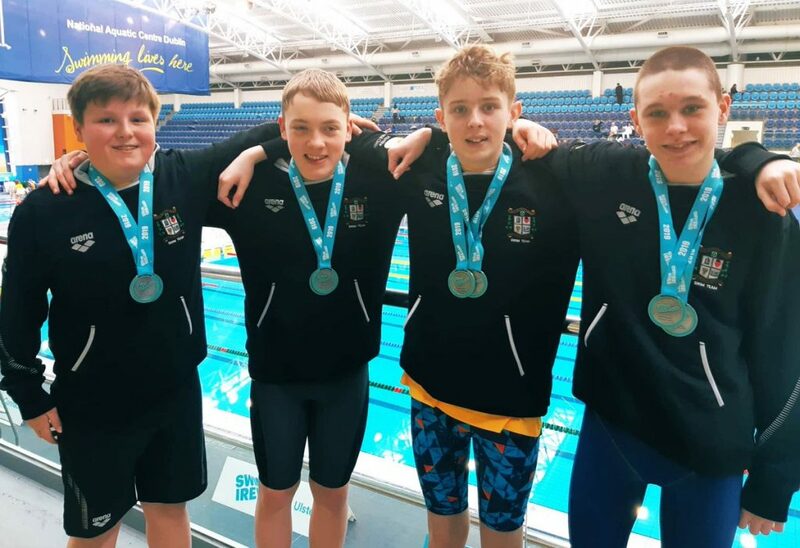 Swimming is relatively new to the school and in a short period of time a number of students are competing at National level alongside the elite in Irish swimming. The four boys swam in the 200m Medley Relay smashing their previous time achieved in October and bringing home Silver in a time of 2:05.81. Check out video here of all four legs. At the Irish Senior Schools Relay Championships Medley Final, our team of Michael Keogh, Joe Dillon, Filip Halaczkiewicz & Niall Burke line out in Lane 6 & go on to claim Silver. The boys then headed back to the blocks less than ten minutes later to bring home yet another Silver in the 200m Freestyle Relay, again accounting for their previous PB in a time of 1:52.85. Asked afterwards the boys said “We are proud to bring home the medals for our school and makes the early rises and diving into the pool when all our friends are asleep so worth it”. These four are not finished yet, as along with two additional Seniors, they will go on to compete in the Irish Age Group Summer Nationals in July for their respective clubs. Thank you to the Whitewater Dental Clinic who came on board recently as sponsor of the Swim Team supplying them with hoodies & team-shirts.